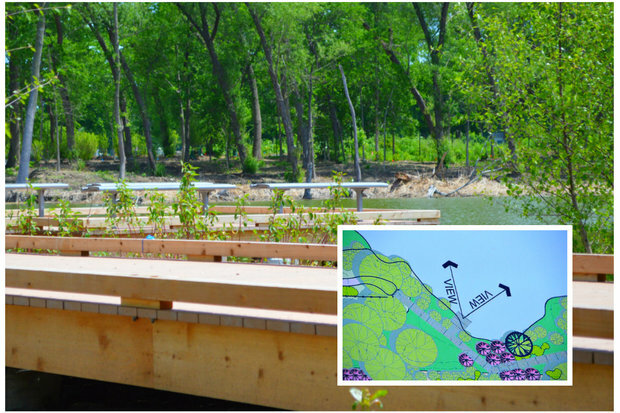 WEST RIDGE — Work is well underway at the 20-acre park and wildlife area known as the West Ridge Nature Preserve, which will include new native plants, boardwalks and fishing holes. In recent months, hundreds of invasive species have been removed, with twice as many trees and shrubs native to the area expected to replace them. Michael Claffey, a Chicago Department of Transportation spokesman, said unhealthy trees were also removed. 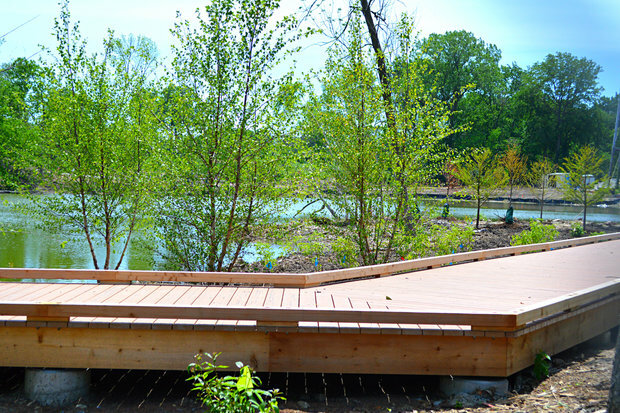 Some of those newly planted trees are now visible from a wooden boardwalk that snakes alongside a pond with benches that provide a full view across the water to walking trails. 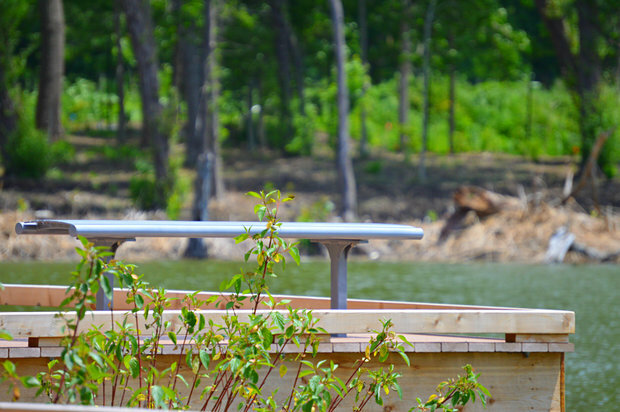 In May, buckeye, hawthorn, oaks, redbud and filberts were planted and foundations were laid for an outdoor classroom, according to the ward's website. 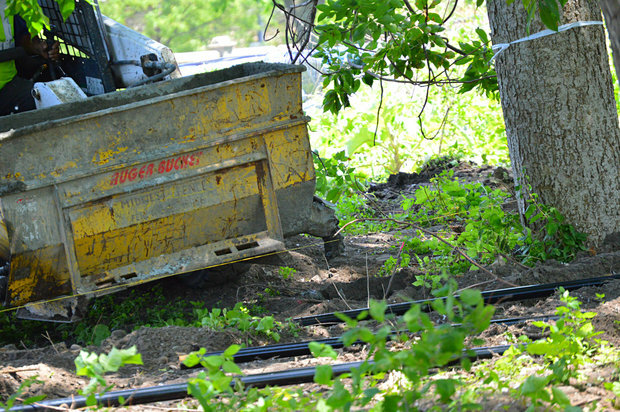 A new storm sewer leading out to Western Avenue was installed to help stop water from flooding onto the street, the update said. Officials have said while there will not be a field house, there will be designated areas where park-goers can kayak. In early April, O'Connor's chief of staff, Tim Czarnecki, said the park's advisory council planned to build a "nature playlot" that would also serve as a space to educate children on wildlife. Czarnecki said previously that fishing would be allowed, "whether [opponents] like it or not." Crews were pouring cement in the park's northeast corner last week while others were busy working at the entrance at Ardmore and Western avenues. Claffey said "construction for the seeding, pathway installation, pond edge treatments, entrance and outlooks are ongoing." 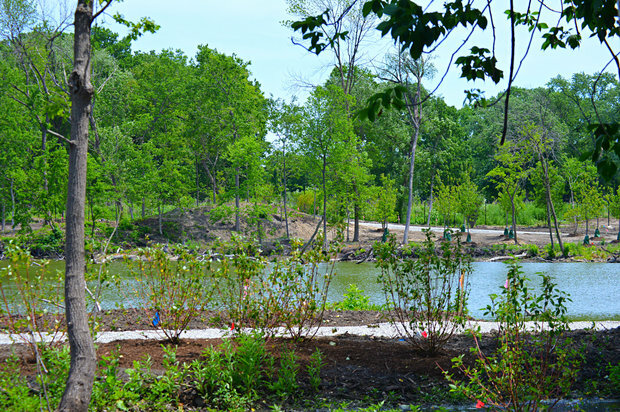 A 40th ward official said that weather delays have made it difficult to predict just when the park will be ready to open between July 1 — when the contractor anticipated the work to be complete — and the first few weeks in August. The land was acquired from adjacent Rosehill Cemetery by the Chicago Park District for $7.7 million in 2011 after it sat largely untouched for decades. In 2014, contractor F.H. Paschen was awarded a $4.5 million contract for the rennovation. Since then, neighbors and community groups have expressed both anticipation and skeptism, namely with any potential disturbance of existing wildlife and safety concerns and the park's placement at a high traffic intersection.